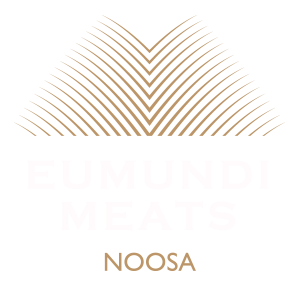 Eumundi Meats Noosa | Noosa Butchers – Eumundi Meats Noosa finest quality, ethically farmed organic, free range and pasture raised produce. Leaders in the organic and free range meat industry on the Sunshine Coast. free range and pasture raised Australian meat to Sunshine Coast families. finest quality, ethically farmed organic, free range and pasture raised produce. As the premier boutique butcher in Noosa Heads – Eumundi Meats Noosa embodies excellence, quality and tradition; as a third generation butcher Jon has over 30 years experience in the retail meat industry from Brisbane to the Sunshine Coast. Jon continues to define performance standards and is dedicated to sourcing the finest quality, ethically farmed organic, free range and pasture raised Australian produce. Your Family deserves the best. Organic. Free Range. Pasture Raised. Full Flavour – The only thing we add to our meat is pride. Visit us at Belmondos Organic Market, a totally new and unique shopping experience – SAMPLE, SAVOUR, SHOP… location map. Stock our trusted brands and unique produce, for our wholesalers list and application form… visit here.